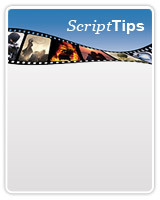 HollywoodScriptExpress.com is created, owned and serviced by Nuvotech Limited ("dba") Hollywood Script Express (herein after "HSX") who maintain high standards for the protection of privacy over the Internet. The purpose of this statement is to explain the types of information obtained about visitors and members (collectively known as and herein after referred to as "Users") of this site www.hollywoodscriptexpress.com (herein after referred to as the "Site"), how the information is obtained, how it is used, and how users can restrict its use or disclosure. The only information HSX obtains about individual Users of the Site is information supplied voluntarily by the User. This means that you can visit the Site without telling us who you are or revealing any information about yourself. To gauge the effectiveness of the Site, we do collect some non-individually-identifiable generic information about our users. Our web server automatically recognizes a user's domain name, the web page from which a User enters the Site, which pages a User visits on the Site, sometimes how much time a User spends on each page, but not the User's e-mail address unless voluntarily supplied. This information does not reveal a User's identity. We aggregate this information and use it to evaluate and improve the Site. The Site may use "cookies" to improve our level of service to users. Cookies are lines of text that are transmitted to your web browser when you click on a site. Your browser stores the information on your hard drive and when you return to that site later, the cookie is transmitted back to the server that originally sent it to you. Cookies provide a way for a server to recall a previous request or previous registration, or to keep track of a transaction as it progresses, so that information does not have to be repeated. To be notified when you are about to receive a cookie you can configure your browser to alert you when a site is attempting to send you a cookie and at that time you will have the option of refusing the cookie. You can check your hard drive for cookie files, on the "cookies.txt" file on your PC's hard drive or under "magic cookies" on a Macintosh. You can choose to provide individually-identifiable information through the Site in a number of ways - by ordering a service from us, sending us e-mail, registering to receive news or Site update information, or entering a contest. When visitors supply information about themselves for a specific purpose, HSX uses the information for that purpose. In addition, when Users order services, or request information about our services from the Site, we may use the individually-identifiable information to evaluate your service needs and contact you regarding additional services you may find useful. We collect e-mail addresses (where possible) of Users of the Site that provide us with their e-mail address and those who communicate with us via e-mail, and from information volunteered by the User, such as survey information and/or Site registrations. The information collected is primarily for security purposes as well as to notify Users about updates to the Site and to contact Users for marketing purposes; this may also include commercial messages as part of the e-mail. When commercial messages are part of the e-mail (or the entire e-mail), it will be designated "Advertisement" or "Commercial Message." Persons who supply us with their telephone numbers online may receive telephone contact from us with information regarding their purchase or query. Online orders placed on the Site are done so on a secure online form. That means your encrypted credit card number is safe in transit to a secure database. From time to time, we make our User e-mail list available to other reputable organizations whose products or services we think you might find useful. However, we do not sell individually-identifiable information obtained on-line about our Users to anyone unless this information forms part of a transferral of rights to and interest in the Site to a Third Party. If you do not want us to share your e-mail address with other companies or organizations you can unsubscribe from these communications at any time by clicking the unsubscribe link contained therein, or you can contact us with your specific request. If you supply us with your postal address on-line you may receive periodic mailings from us with information on new products, services or upcoming events. If you do not wish to receive such mailings, please let us know by sending e-mail to the above e-mail address and provide us with your exact name and address - your name will then be removed from our mailing list. HSX is committed to safeguarding customer privacy on the Site and therefore you can feel confident that your individually-identifiable information will be protected when you access our webpages or order services from us over the Internet. However, the Site does contain links to other sites and as such, we are not responsible for the content or the privacy practices employed by other sites. The Site may disclose Personal Information if required to do so by law or in the good-faith belief that such action is necessary to (a) conform to the edicts of the law or comply with legal process served on HSX, its employees, agents, representitives or assignees, or the Site; (b) protect and defend the rights or property of HSX, its employees, agents, representitives or assignees, the Site or the Users of the Site, and (c) act under exigent circumstances to protect the personal safety of employees, agents, representitives, or assignees of HSX, Users of the Site or the public. When you upload a file it cannot be accessed by anyone but you unless your service requires different. Temporary files are frequently deleted and all files cannot be directly accessed from the Internet, so they cannot be targeted by hackers. Stored files are encrypted and timestamped files are signed with a Digital Certificate that is issued by an independent, trusted third party known as a Certificate Authority (CA). Before certificates are issued, the Authority independently verifies our company's legal documents, the names of the directors, their association with the company, and the company's ownership and right to use the Internet domain names, so you can be sure we are who we say we are and that the date of the timestamp is legitimate.